Information has been released on the data format to be used by the Open Source Satellite Initiative (OSSI) CubeSat developed by Hojun Song DS1SBO. OSSI-1 is planned to launch April 19, 2013 into a 575 km 63° inclination orbit on a Soyuz-2-1b rocket from the Baikonur launch facility in Kazakhstan along with the Bion-M1 satellite and the SOMP, BEESAT 2, BEESAT 3 and Dove-2 CubeSats. 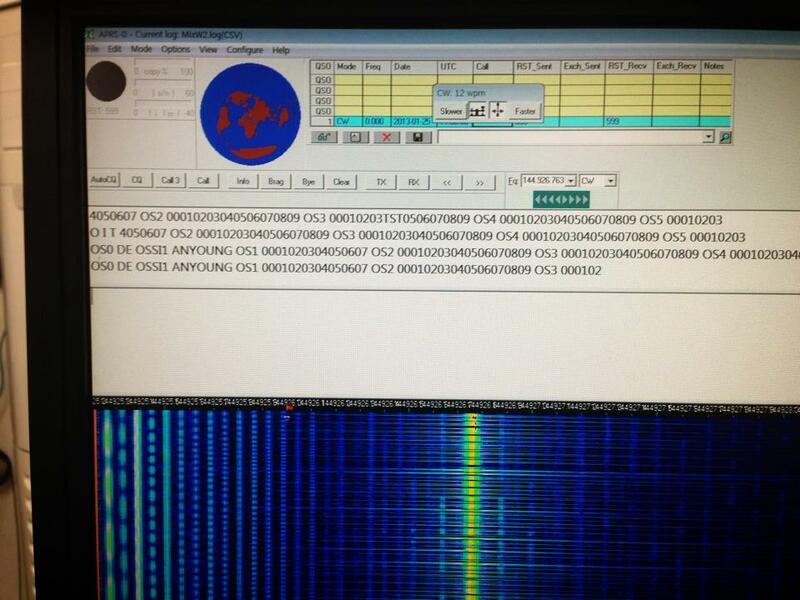 The OSSI VHF beacon is understood to be using 12 WPM CW. Hojun Song DS1SBO, developer of the OSSI CubeSat, will be speaking at the WIRED 2012 event taking place in London, EC1Y 4SD on Friday, October 26. OSSI-1 has a beacon in the 145 MHz band and a data communications transceiver in the 435 MHz band. 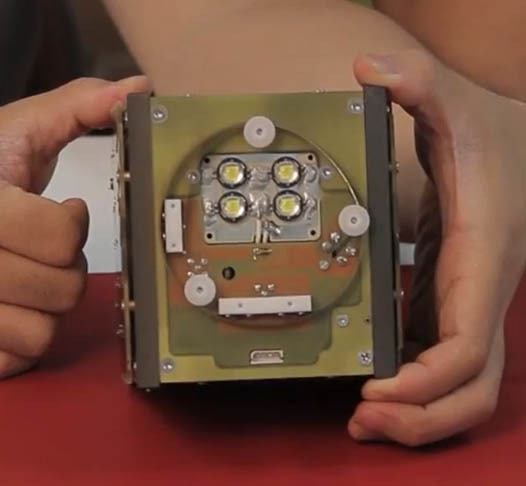 It carries a 44 watt LED array to flash Morse Code messages to observers on Earth. It is planned to launch in April on a Soyuz-2-1b rocket from the Baikonur launch facility in Kazakhstan along with the Bion-M1 and Dove-2 satellites. ARRL report that NASA will televise the launch and docking of the next mission to the International Space Station (ISS), scheduled for 8:40 PM (CDT) Saturday, July 14 (0140 UT, Sunday, July 15). NASA Flight Engineer Sunita Williams, KD5PLB, along with Russian cosmonaut Yuri Malenchenko, RK3DUP, and Japan Aerospace Exploration Agency astronaut Akihiko Hoshide, KE5DNI, are completing preparations as they undergo their final Soyuz spacecraft fit. Live NASA TV coverage of the Soyuz TMA-05M spacecraft launch from the Baikonur Cosmodrome in Kazakhstan begins at 8:30 PM CDT on Saturday, July 14 (0130 UT July 15).